Anthony F. Earley has been Chairman and Chief Executive Officer of DTE Energy for the past ten years. He was also DTE Energy’s president and chief operating officer from 1994 – 2004. He joined DTE Energy after working at its subsidiary company, Detroit Edison. While there, he focused on developing workforce skills and culture needed for Detroit Edison to be successful in a changing utility environment. Earley earned a Bachelor of Science degree in physics, a master’s of science in engineering, a law degree, and in 2006, an honorary Ph.D. from the University of Notre Dame. After college, he served as an officer in the U.S. Navy. 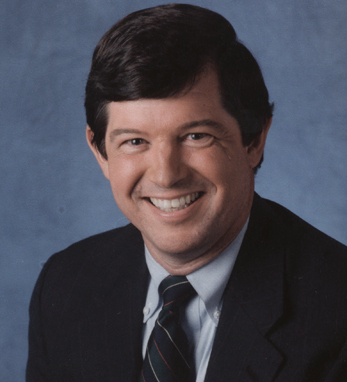 On the board of directors of numerous educational and civic organizations, including the Nuclear Energy Institute, Edison Electric Institute, The Detroit Zoological Society, United Way for Southeastern Michigan and Cornerstone Schools, Earley is fourth- generation Irish-American, and a member of the Society of the Friendly Sons of St. Patrick. He is married and has four children.